You will be spoilt for choice this year with the awesome range of Hasbro products that have hit shelves across the country. 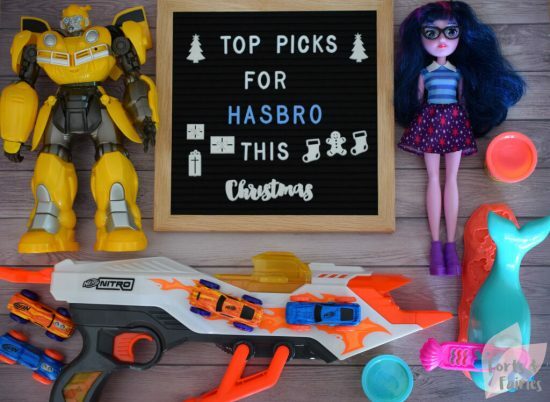 With brands that we know and love such as Play-Doh, My Little Pony, Nerf and Transformers, there really is something for everyone this Christmas. 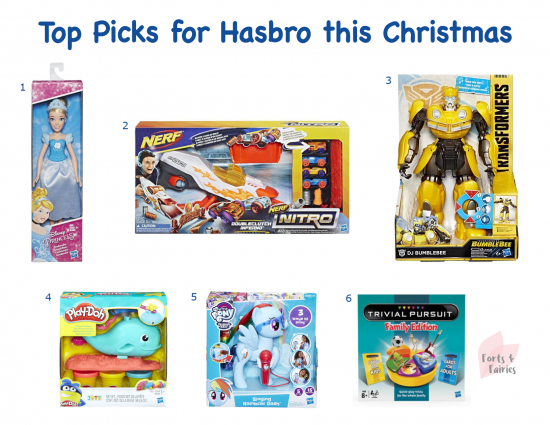 Let’s take a look at the hottest new gifting suggestions from Hasbro! A cute and fuzzy new little spider is bound to steal your heart when this new range of collectables launches this December. These Yellies! pets respond to sounds and to your voice, and because they respond to your talking, clapping, singing and even music they are sure to be lots of fun. So why are they called Yellies! you want to know? Well because the louder you yell, the faster they go! Each Yellies! pet has its own unique look and personality, and it’s going to be difficult to choose between Toofy Spider, Flufferpuff or Bo Dangles! My Little Pony is always a favourite in our home, and no trip to the toy shop is complete without popping past the pony aisle for my daughter to show me what’s on her wishlist. We adore the My Little Pony Equestria Girls fashion dolls, and the Glitter and Glow Princess Celestia figure is sure to bring a twinkle to your little girl’s eye as her cutie mark activates her lights to twinkle and her colours to change. The Singing Rainbow Dash is perfect for those little girls who love to sing along, she has cool moveable sunglasses and a microphone attached. Any My Little Pony fan will also love cuddling to sleep at night with the soft Friendship is Magic plush ponies. 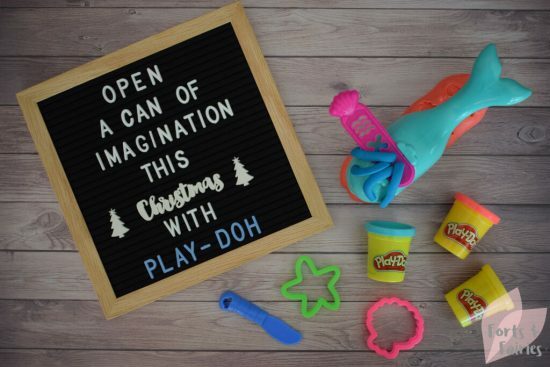 I always think that I have just as much fun playing with Play-Doh as my kids do! There are so many awesome playsets, tools and accessories to choose from too, perfect for keeping the afternoon’s busy during the upcoming holidays. Wavy the Whale will have you creating sea scenes with the accessories, but prepare for a surprise when you press down on his tail – Play-Doh water will rise from the whale’s spout. If you, like me, have aspiring Master Chefs, then also keep an eye out for the Kitchen Creations Spinning Treats Mixer. Your kids will be able to create cookies and cupcakes, and even decorate them imaginatively with frosting and candies. Nerf fans will delight with the new Nerf Rival range, which includes high-powered blasters and battle-tested accessories perfect for older kids. There are also new additions to the Nerf Elite, Zombie Strike and Nitro ranges that you should check out if you have a Nerf enthusiast in the house. We love the Nerf Nitro Double Clutch Inferno Set, giving you the chance to shoot your racing cars through obstacles and see who wins the race! 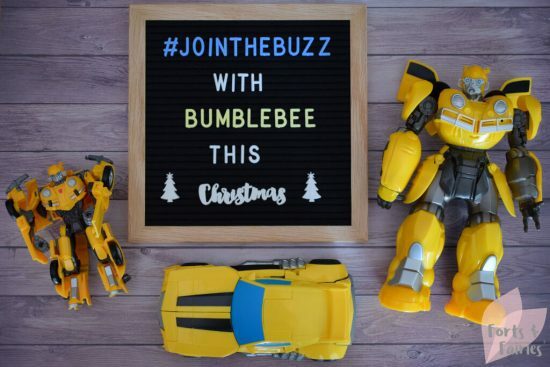 As a big fan of the Transformers franchise I can’t wait to watch the new Bumblebee movie in December. To celebrate there are some fun new movie inspired products available, like the seriously cool Bumblebee Showcase Helmet. Power Charge Bumblebee is an action figure that converts from robot mode to classic VW beetle mode, and Bumblebee DJ Stryker lets you create your own original tunes. If you have a little girl who loves to dress up then be sure to check out the Disney Princess range for tiaras, magical wands, dolls and castles, ball gowns and hair play accessories. There are two new FurReal Friends who your children will love to meet. Rock-a-too the Show Bird is sure to entertain them with his song and dance and parrot jokes, while Ricky the Trick-Lovin’ Pup is a poseable pup who can do tricks and give you special doggie kisses too. Holidays are the perfect opportunity to spend some time gaming, and there are lots of new games from Hasbro Gaming to enjoy together. These include Speak Out Showdown, Hearing Things, Don’t Lose Your Cool and Trivial Pursuit Family Edition. The kids will love Pie Face Cannon, Don’t Step In It, and Blindfolded Twister. Which do you think will be your child’s favourite this Christmas? Don’t forget that Hasbro also has a great range of goodies that make perfect stocking fillers, you can read more about those in my Fill their stockings with Hasbro goodies this Christmas! guide. They are, aren’t they? So hard to pick a favourite!